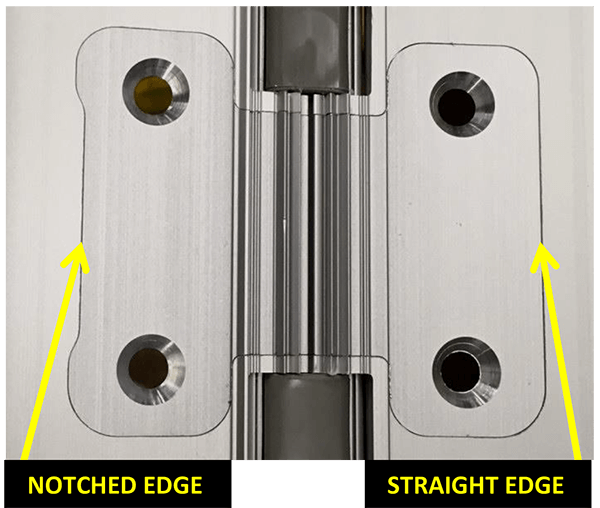 separations (slits) across the middle of the hinge. be high and one must be low. The wires have stayed in sequence so none of them are crossing. 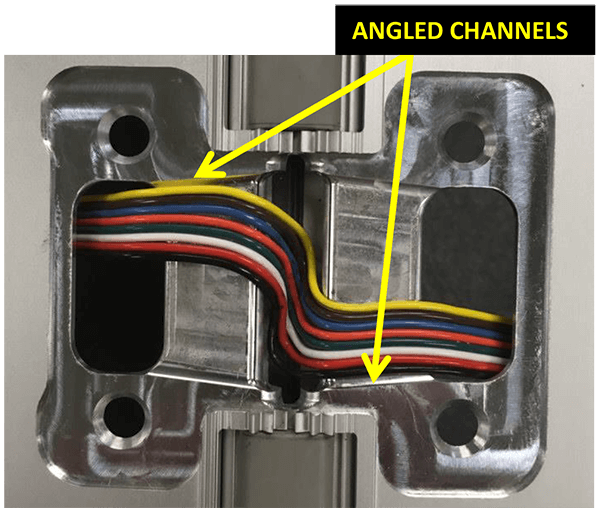 The wires are fully contained inside the angled channels. The transition from high to low is as prominent as possible. The wires nearly reach the bottom of the pocket between the hinge leaves. 4. Install the cover plates, they must be installed in the correct order. The 2 panels (cover plates) are unique, one has a straight edge and one has a notched edge. The panel with the straight edge must be installed first. flat, remove the cover plates and inspect the wires to make sure nothing has shifted.